Tape, we take it for granted, but it is simply indispensable. 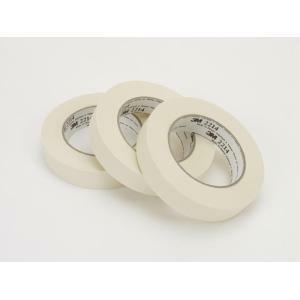 Take our Paper Masking Tape 2214, for example. It is a basic crepe-paper baked masking tape ideally suited for general, light-duty indoor use and non-critical paint masking. It remains in place around corners and over contoured surfaces. Our rubber adhesive sticks instantly to paper, metal, wood plastic, glass, painted and other clean surfaces while resisting lifting or curling. It can withstand use in temperatures up to 200°F/93°C for up to 30 minutes work time, and it detaches from the roll smoothly for easy control. Designed for non-critical masking applications around the office, as well as light-duty packaging applications such as sealing, splicing and mending.